La Paz is a beautiful modern city on the east coast of the Baja California Peninsula, and the capital of the state of Baja California Sur. It’s also one of the best places to have a low-key fishing adventure. If you are headed to Baja California Sur and you want something a little different, La Paz is sure to please. Perched at the mouth of the Sea of Cortez, on the Bahia de La Paz, this city provides excellent access to all sorts of fishing – both inshore and offshore. La Paz has held the world record for roosterfish, a 114 lb whopper, for over 50 years. 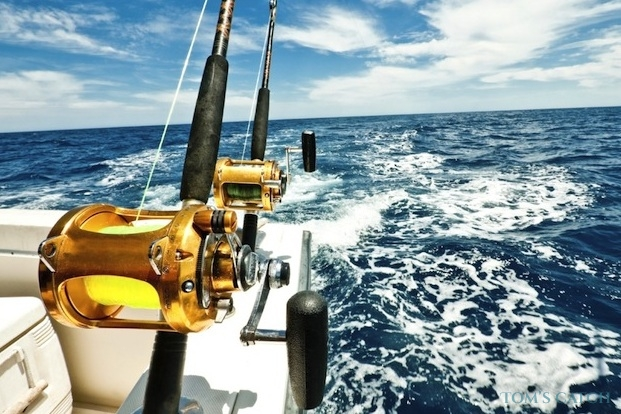 The areas in and around Bahia de La Paz offer fantastic fishing for pargo, yellowtail, and roosterfish, and the bite is always good. 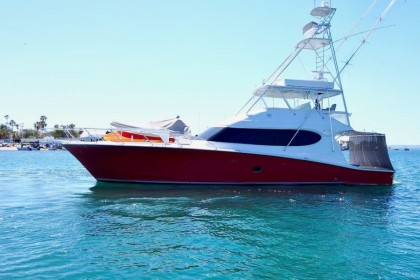 Offshore, into the Sea of Cortez and on the east side of Isla Espiritu Santo, dorado, sailfish, swordfish, and striped marlin are waiting to be reeled in. You can fly into Los Cabos International airport, or San Jose del Cabo airport, but either way you’ll need to secure either a rental car, private van, or bus to get to La Paz. If you take a bus, make sure you take the Todos Santos route (it’s shorter). 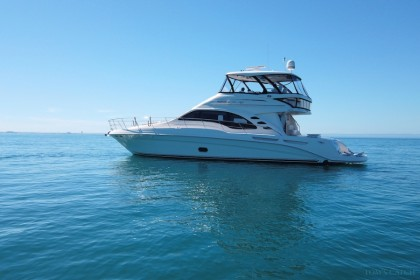 La Paz has several options for charters and fishing. There are plenty of small pangas to rent with local guides who will take you to spots where you can catch pargo, roosterfish, grouper, snook, and yellowtail. Some will even take you farther out to catch larger pelagic fish species. If you plan on fly fishing bring your own gear, but otherwise you’ll find that the local captains will have what you need, and anything else can be purchased in town. 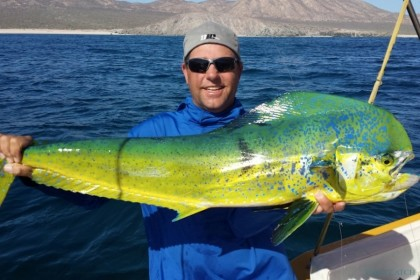 The Sea of Cortez is teeming with dorado, which can be caught from pangas, either with medium tackle or on the fly. Anglers use the currents, weeds scum lines, floating debris, and frigate birds to pinpoint dorado, as well as flying fish, water temperature and color breaks. You may wish to use some chum to entice strikes, and then pitch Pacific flat iron herring, known locally as sardinas, into the strike zone before casting the fly. In December and January in the Sea of Cortez swordfish are plentiful, and the numbers increase with the full moon. In the summer, striped marlin are hot in the Sea of Cortez between La Paz and Loreto. North of La Paz is Loreto, a smaller town with excellent beaches and beautiful waters. Five islands just offshore provide a range of ecotourism activities, and Loreto is a quieter, less commercial beach that those on Cabo San Lucas. In the bays and along the shore in the fishing is rock oriented, which means using heavy tackle (50lb gear) and reeling in 20 – 40 lb fish on average. Flat calm days are better, because when the winds are blowing, the fishing is difficult, so pay close attention to the wind report. Visit Isla Espiritu Santo, a Unesco World Heritage site which includes 244 islands in the Sea of Cortez. Isla Espiritu Santo is surrounded by azure waters and secluded inlets. An easy day trip, you can rent a kayak and go snorkeling while you bask in the fullness of nature’s beauty. Go for a walk on the Malecón, La Paz's waterfront, with its wide sidewalk, beaches, pier, sculptures by local artists and unimpeded views of the sunset. It is 3.5 miles long, (5.5km), from the Marina de la Paz in the south to Playa Coromuel in the north. Learn about gray whales at Museo de la Ballena (Museum of the Whale). Audiovisual displays explain the lifestyle and migrations of gray whales that live and breed in the local waters. The museum's foundation promotes the study and conservation of whales, and as you walk through a soundtrack of whales in the wild might make you want to go on a whale-watching tour, there are several in Baja California Sur. Go Whale Watching! Through the months of January and April the Sea of Cortez is home to migrating whales that have traveled 20,000 miles from the Bering Sea to reach the warm and calm waters of La Paz.